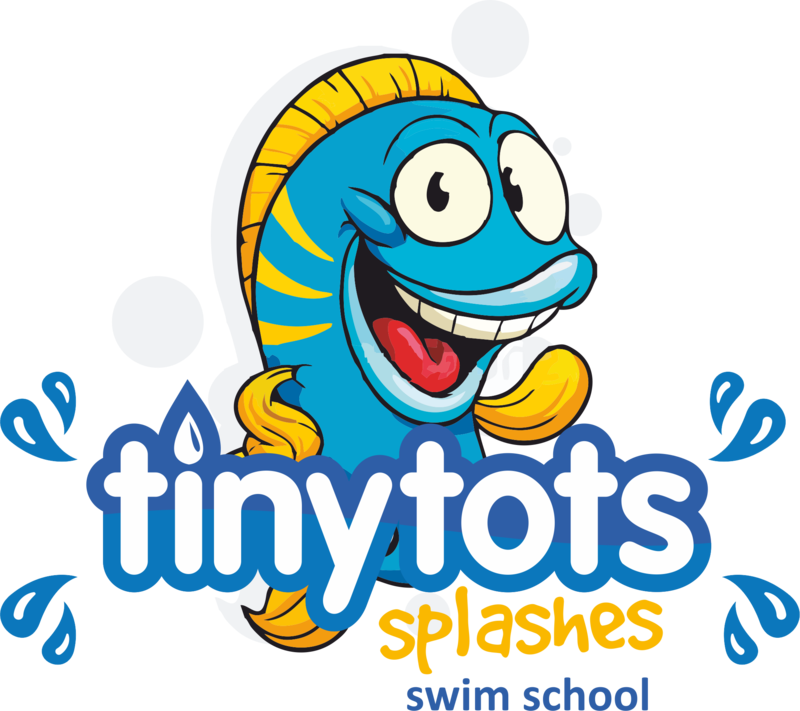 At tiny tots splashes all courses are booked for a minimum of 6 weeks, this is one 30minuite lesson per week, and you can however book more than 6 weeks if you wish. Once your booking has been made and the office has received your payment your slot will be fully secured and you will be provided with a welcome pack for your records of your course booking. Welcome packs are sent out in the post before your course starts. It is clients’ responsibility to make sure they collect and read all relevant information that have been provided for them regarding lesson terms and conditions and tiny tot’s policies in relation to swimming lessons operation of business. All course bookings must be paid in full when your booking is made, we do not allow payment on the day. You can however pay for your course either over the phone or at the office using a credit/debit or Amex card, cash or an online bank transfer to HSBC 01423673 40.23.20. If you are making an online payment please make sure your child’s name has been listed in the reference box, this is so we can recognise that your payment has been made. Once your course has been paid in full if you wish to change your day/ time please contact the office ASAP. I’m afraid if you have paid for your course in full and decide you wish to cancel your course we are not able to refund you (our no refund policy is always made clear before your booking is made and before any payment gets taken! ).Your course can either be put on for a maximum of 3months or completed in full. On your week 5 of your course booking ( please see invoice for dates) you will be contacted by the office either by phone or message to ask if you would like to continue for more lessons and book another 6 week swimming course. If you are happy with the lessons and would like to book another course please let the office know ASAP, we require all renewal payments to be made in full on your week 5 of date’s booked (not 5th lesson attended). You can pay your renewal fees at the office but if you decide not to renew we do kindly ask that you let the office now ASAP as we may have a waiting list for slots. All courses that are renewed must be booked back to back we do not skip weeks due to non-attendance so your new course must start the week after your previous course ended. If you do not wish to do this you can choose to not renew and book again in a few weeks’ time, however your slot will go up for sale and you may lose that time and day. Tiny tot’s splashes do not keep clients card or bank details on file so we will not automatically take your payment you will need to arrange your payment direct. You will be supplied with a new invoice for your records of course class dates, invoices are displayed in the main entrance to the swimming pool on your week 4 this is so you can collect and take home for you to view before your payment is due if you are renewing., due to the volume of invoices printed weekly we can only display invoices for 2 weeks after renewal due date. If you do not manage to collect your invoice we can supply a new one at the office for you. Tiny tots splashes is under no obligation to transfer or refund money in the event of you cancelling or missing any or all of your scheduled classes within your booked course. We do stress to all clients about our NO REFUND POLICY when you first book. I’m afraid if you have just renewed/ booked and paid for a course of lessons and decide you wish to cancel this booking I’m afraid the course must be attended or we can put the course on hold for you if it is not possible for you to attend. If there is any issues regarding your booking/lessons we will do our very best to accommodate your requests following our terms and conditions. Unlike many swimming schools tiny tots splashes offer the chance for you to be able to rebook your cancelled or missed swimming lesson please see below for catch-up policy. We do not allow missed lessons to get added on to the end of your course nor do we credit off your next bill. Please understand that the fees you paid upfront for the 6 weeks is spread over the 6 weeks to cover the cost of teachers/pool hire etc. As frustrating as it might be some times we might have to cancel your swimming lesson due to a sick/ poo accident or in the likely event of a pool technical problem if we need to the staff will do their very best to contact you ASAP to make you aware of the cancelled lessons and to avoid you having a wasted journey. You will be contacted on the details you have provided us when you first made your booking. We will then contact you within 72hours of cancelling your swimming lesson either to update you on the situation or to re-book you in as a catch-up for an alternative day and time to what you currently swim on. Once again we do not add lessons on to the end of courses and WE DO NOT GIVE REFUNDS or CREDITS. Lesson cancelations are just as frustrating for us as they are you, please understand that it also may not be our fault PLEASE DO NOT ASK FOR REFUNDS OR CREDITS AS WE DON’T LIKE TO OFFEND!. Tiny tots splashes is the only swimming school that invented and uses a catchup- policy that we offer to all our customers as a gesture. In the event of you needing to cancel any of your scheduled swimming lessons you will be offered to rebook for an alternative day to what you currently have your lessons on, to qualify for a catchup lesson you must call/txt/email/Facebook the office about non-attendance a minimum of 2HOURS before class start time anything under this time limit is a loss on you!. We must receive the full 2HOURS notice even if your 5 or 10 minutes late of the minimum time period it is still a loss. Our catch-up system works by clients letting us now they are unable to attend a swimming lesson in advance we can book someone that is waiting for a swimming lesson in their place. This is how our catch-up system keeps flowing, when a client lets us know about cancelling a lesson at such short notice it then a void and we are then unable to use it. Even if you are out of the time period we still kindly ask that you still inform us that you’re not able to attend as we need to know for our register encase of an emergency. Please also remember we are the only swim school that offers a system like this, other companies would make you lose the lesson if you cancel regardless. We are more than fair to offer this time scale. You have two months to book in your catch-up lessons from each date that was cancelled in your scheduled course. To book in your catch-up you must contact the office on the below contact details we will then arrange your catch-up lesson for a day and time we have available that you can attend. Lessons cannot be booked in based on what trainer is teaching that day, and if you choose not to book in for that available time slot due to that reason the catch-up could then become a void for you. Your catchup cannot be booked until the cancelled lesson has been missed. Once your catch-up has been booked and confirmed we do not rebook them, if you then need to cancel your catch-up it then becomes a loss on you as we don’t rebook cancelled catchups. We do advise that if you previously cancelled your first lesson due to illness we recommend you wait until you’re healthy again before re-booking. The only time we will allow you to rebook your catchup is if your catchup was cancelled by tiny tots splashes. Following from the above listed terms if you decide to turn up to your lesson and fail to get in the water for your own reason or decide to finish your class at any time during the class this then becomes a loss on you. when you first book with tiny tots you will be asked for any existing medical conditions for either yourself, another carer who may swim in the lessons or your baby/child booked into the lessons. We ask all parents to fill out a personal details form at reception. We stress that all parents or carers must inform tiny tots splashes of any changes, including pregnancy, as soon as you are aware of them. All information will be kept strictly confidential and for our records only. Please wait until your doctor has given the all-clear before returning to classes and please keep the office posted. We also stress that if you child has suffered from sickness and diarrhoea that you wait at least 1 week before returning, this is to make sure your child is completely fit and healthy to swim and also to avoid spreading the germs. Please note that we ask you do not spectate a lesson if you have a verruca.